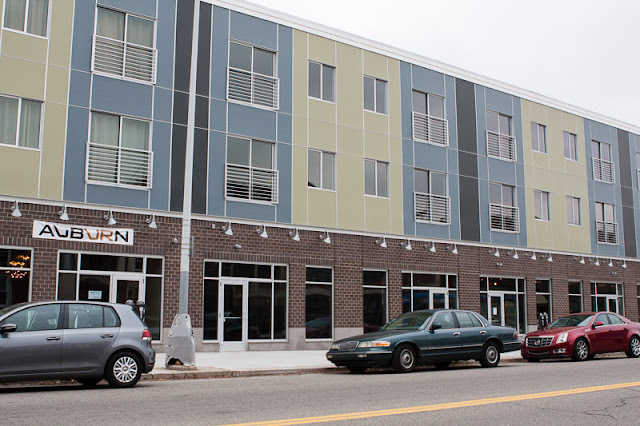 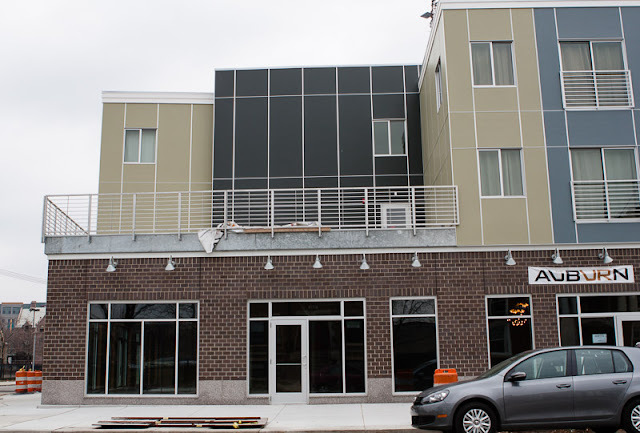 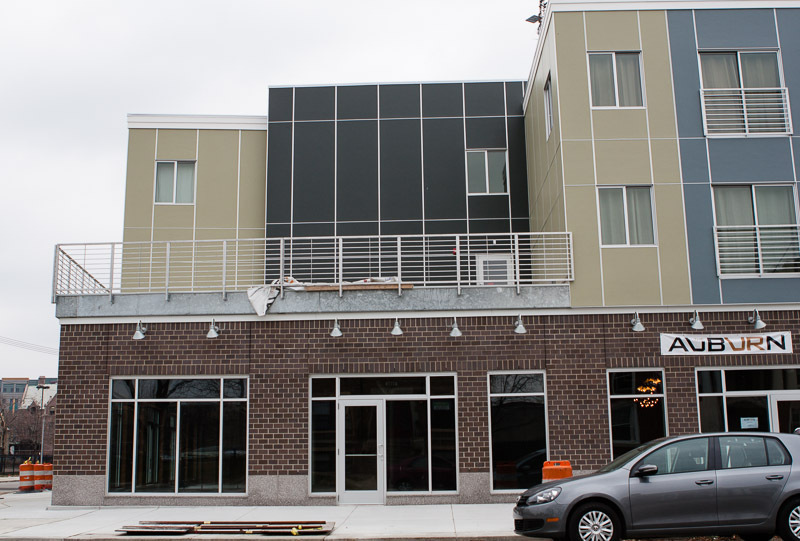 Earlier this month residents began moving into the completed Auburn development on Cass. 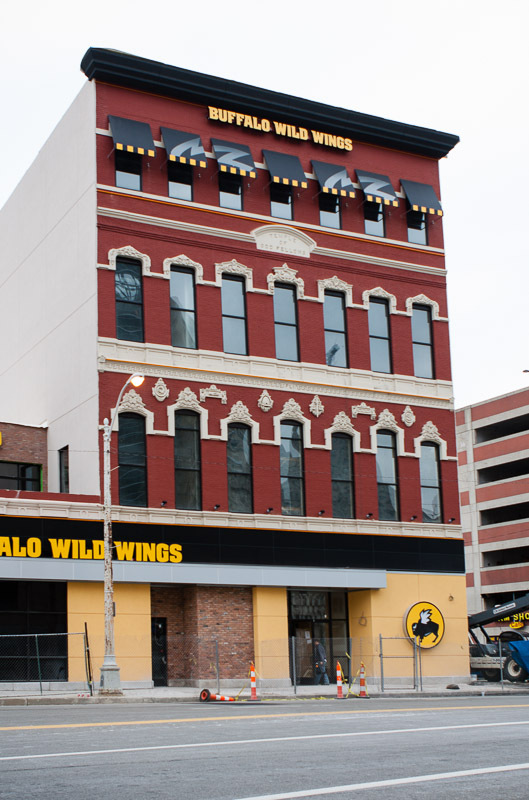 As Buffalo Wild Wings readies for its grand opening, it was revealed today that a Bagger Dave's Legendary Burgers franchise will be moving in next door. 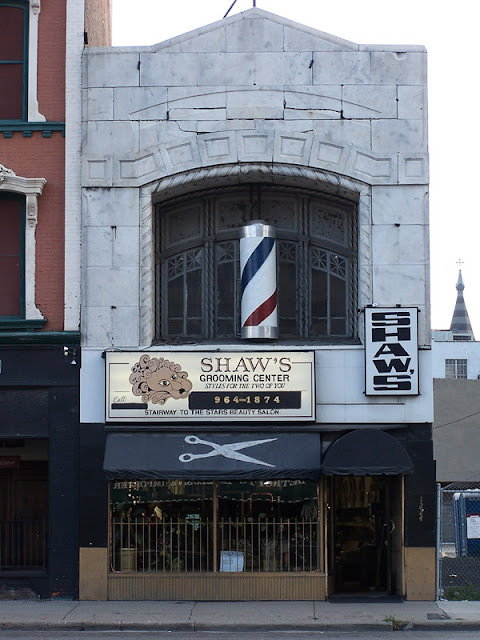 T. Michael Ansley, president and CEO of Diversified Restaurant Holdings has announced that the company has signed a long-term lease for the restaurant to occupy the building that once housed Shaw's Grooming Center on Randolph Street. Diversified Restaurant Holdings operates several Buffalo Wild Wings franchises in Michigan and it is the owner, operator, and franchisor of the Bagger Dave's chain. 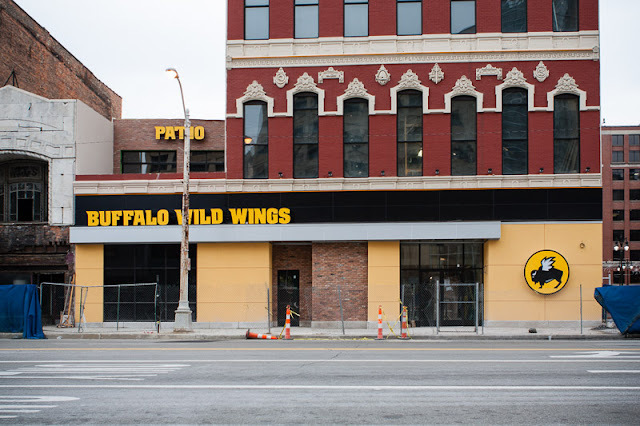 Detroit's first Buffalo Wild Wings didn't meet its goal of opening in time for the Thanksgiving Day parade, but it's getting closer. 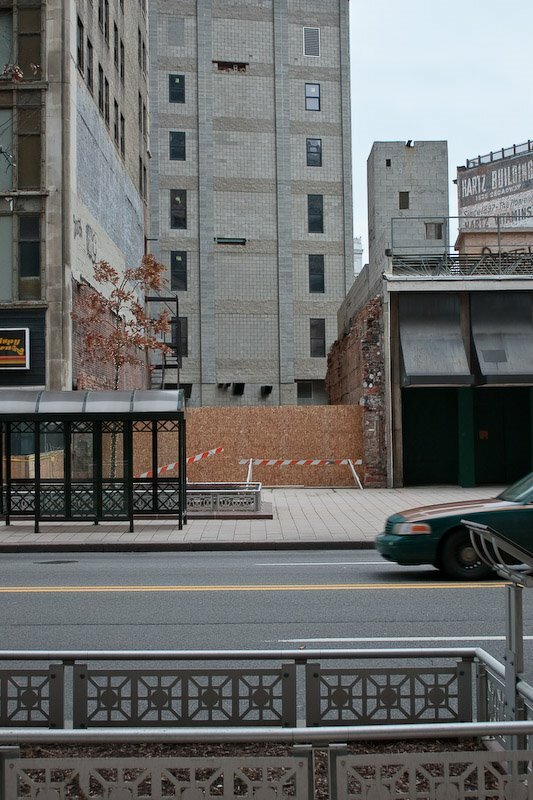 With the completion of the redeveolpment of the David Broderick Tower, the owners have finally filled the gap between the tower and the neighboring building. 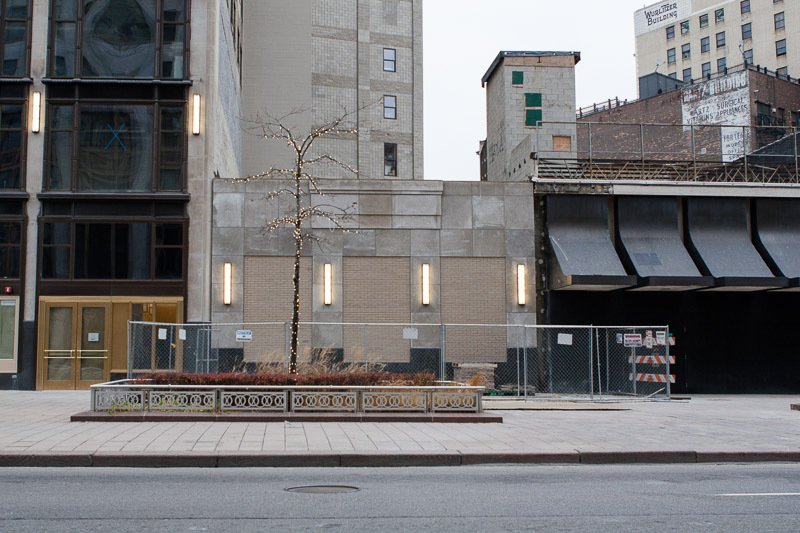 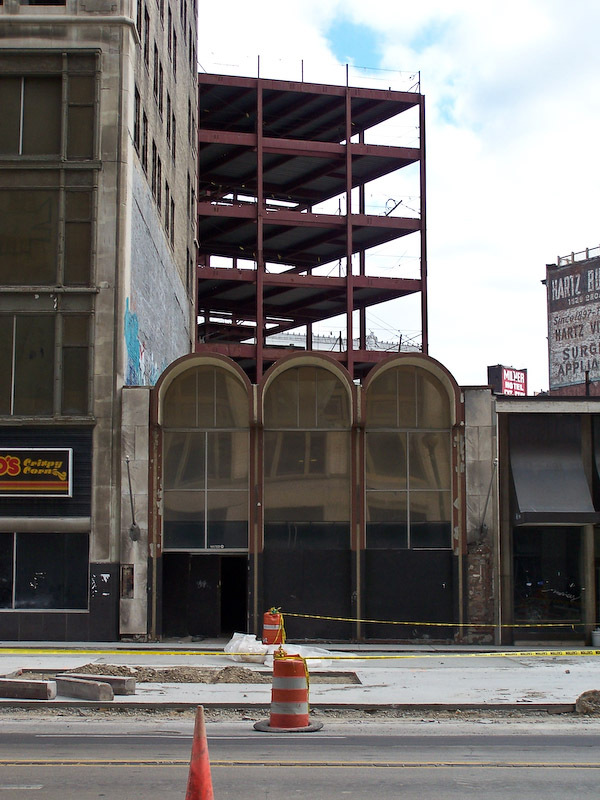 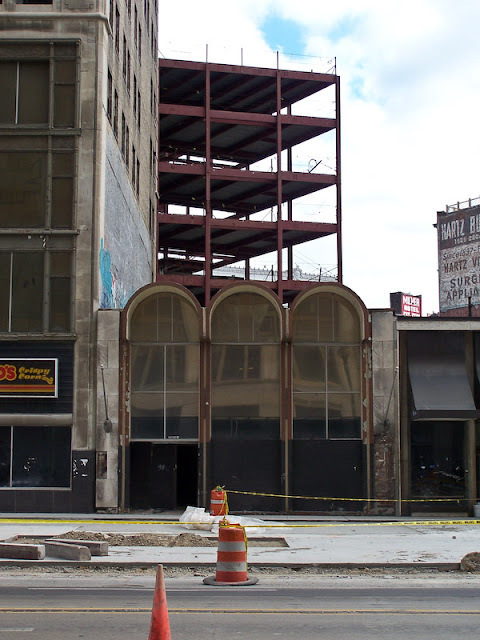 The adjacent restaurant space had collapsed in 2008 and was used as a staging area during the Broderick's conversion to apartments. 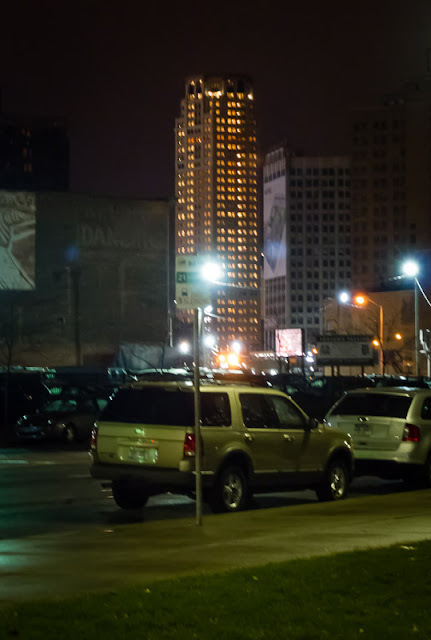 Originally named Eaton Tower, the David Broderick Tower was fully lit for the World Series.